Find a spot on your deck for this Holland Limited Edition! The Holland Grill Co. is proud to announce the arrival of our newest member of the Holland family–The Maverick. This beauty is a LIMITED EDITION model to celebrate our 25 years in business. Innovative design allowed us to produce this fantastic cooker with a low price without sacrificing quality. You’ll get the same great, patented Holland Cooking system but at a price that will turn more than a few heads. There is nothing on the market today that does what we do! 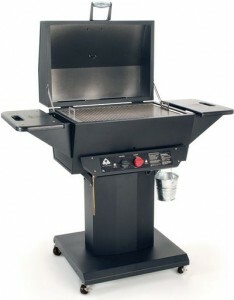 And of course, like the rest of our full-size grills, we proudly build it in the United States. Don’t miss out on your opportunity to own a Holland Grill at a value price. Supplies are limited!